In 2019 collection we are introducing an improved version of the popular Rally jacket. All technical features and general characteristics have been preserved. 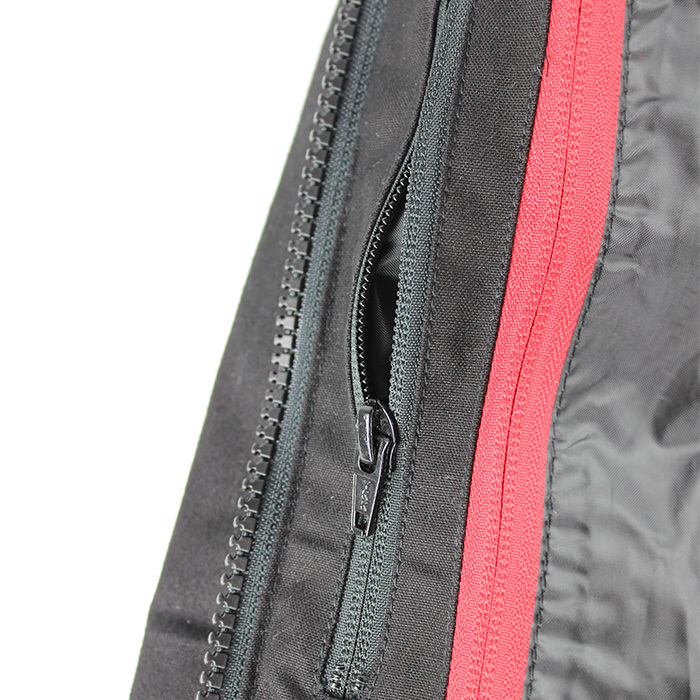 Rally 2.0 jacket composes of three layers. 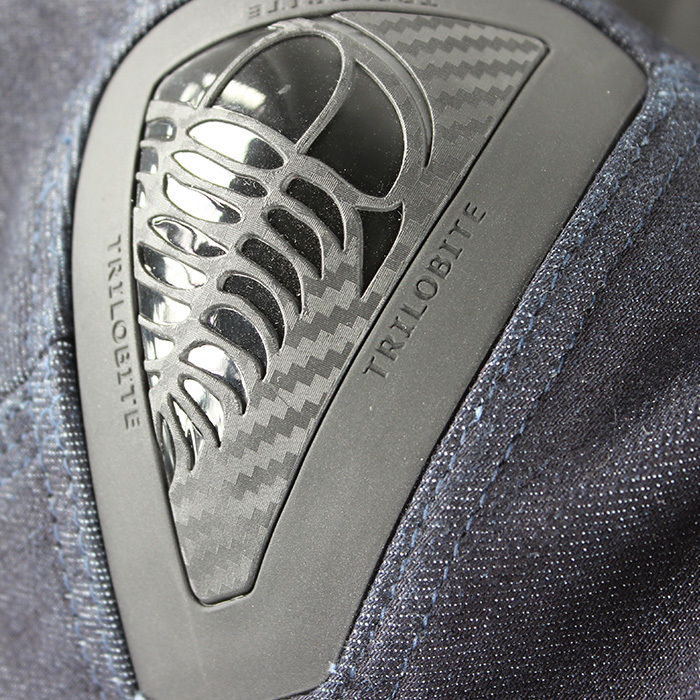 Outer shell is made of the combination of Wax Cotton and Trilobitex® denim. 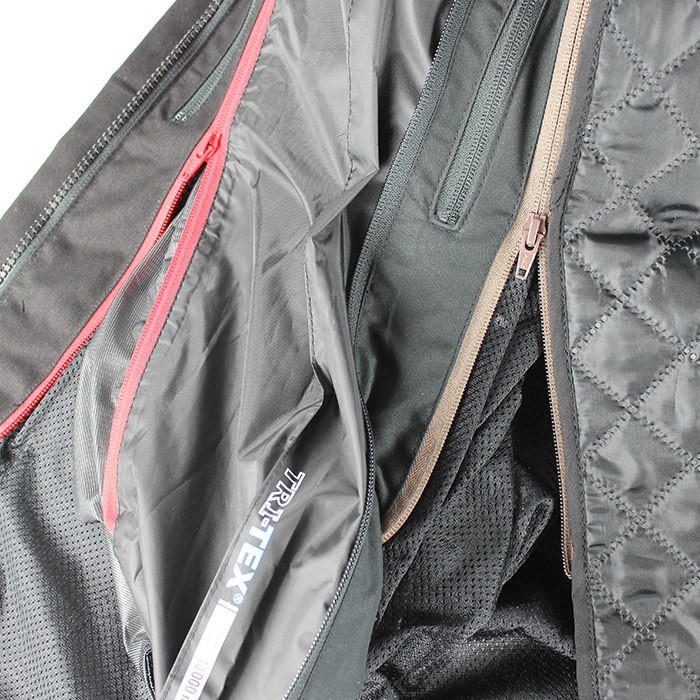 Tri-tex® waterproof membrane creates a removable mid layer with the 10 000 mm water column. 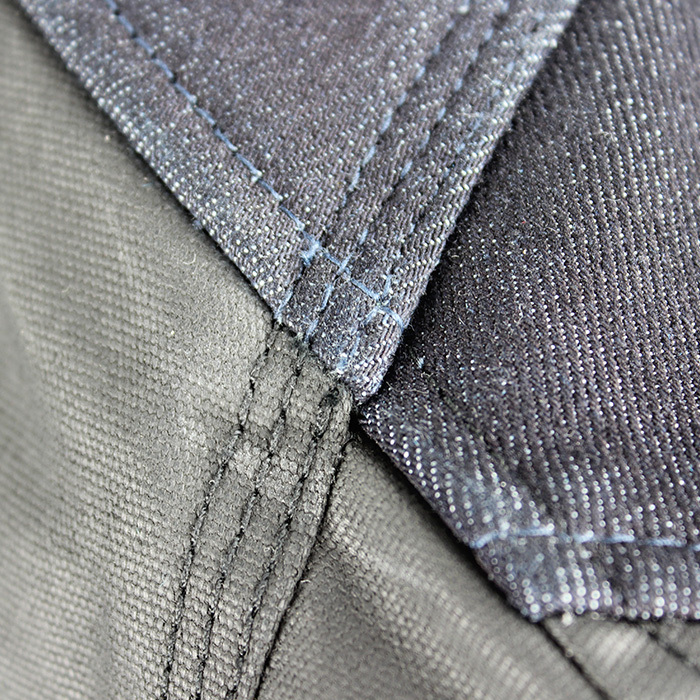 The layer closest to the body is made with a removable thermo Polyester liner. 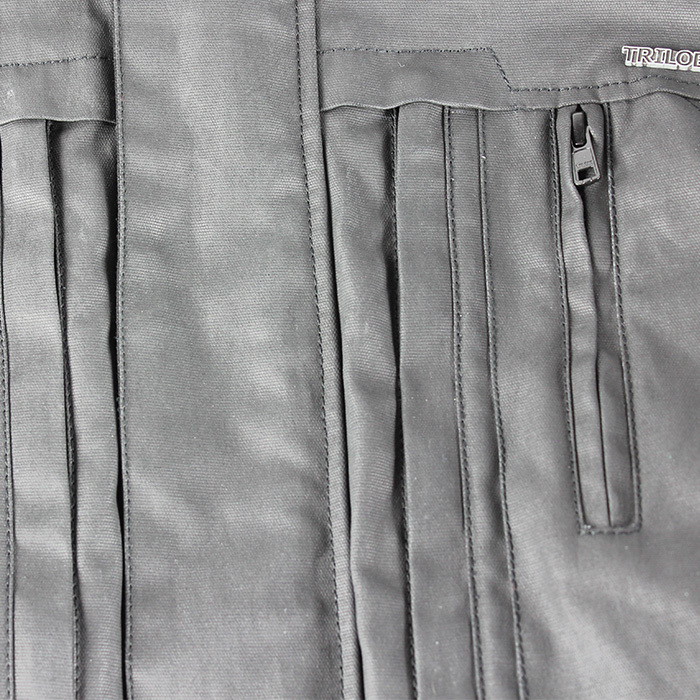 The zippers of individual layers have different color for your better orientation. 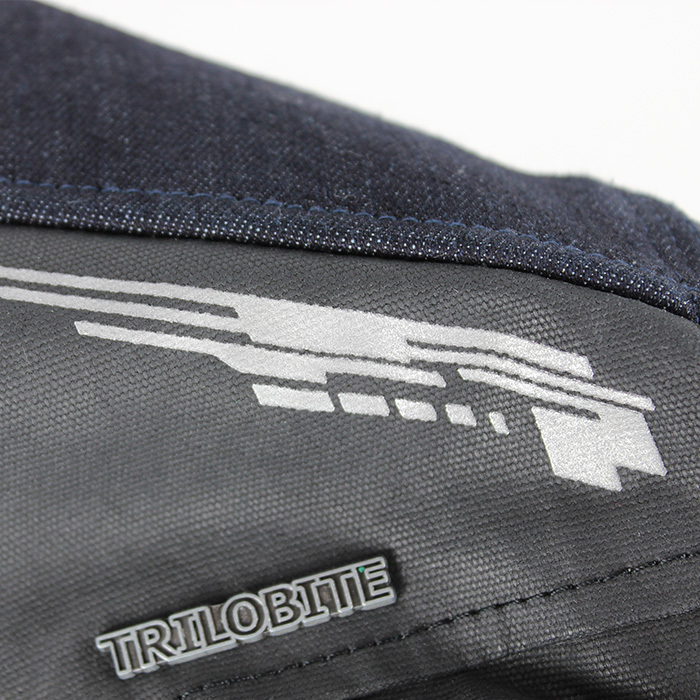 Denim panels on the jacket are made of Trilobitex® technical denim which contains aramid fibers and nano membrane inside. 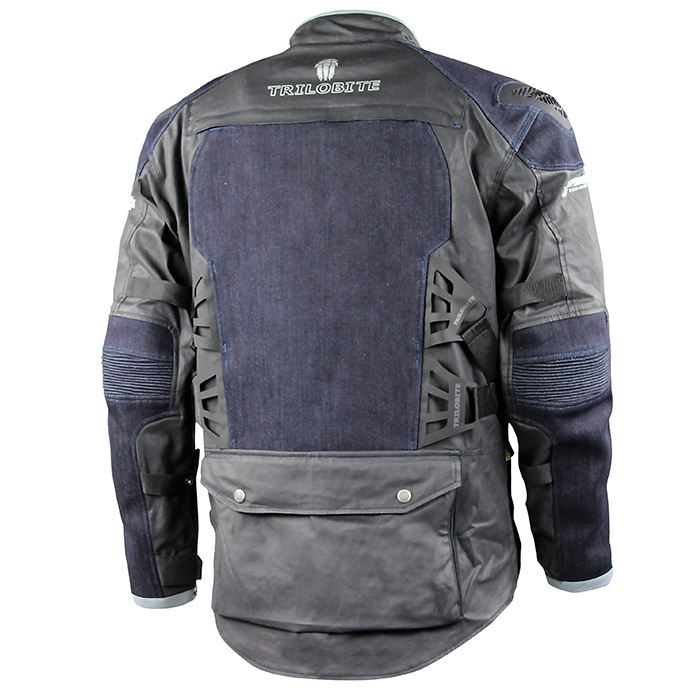 These attributes give Rally jacket extensive abrasion and water resistance qualities. 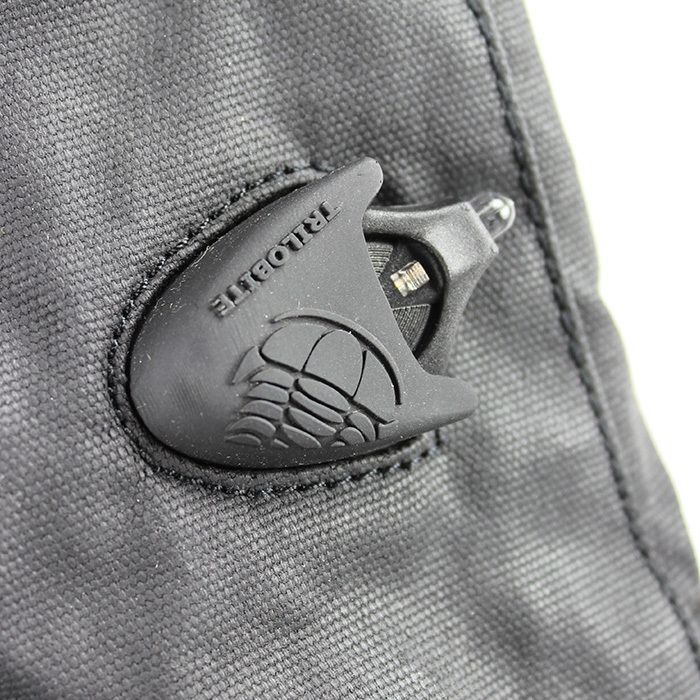 To increase protection, shoulders are equipped with anti-abrasion carbon look TPU protectors. 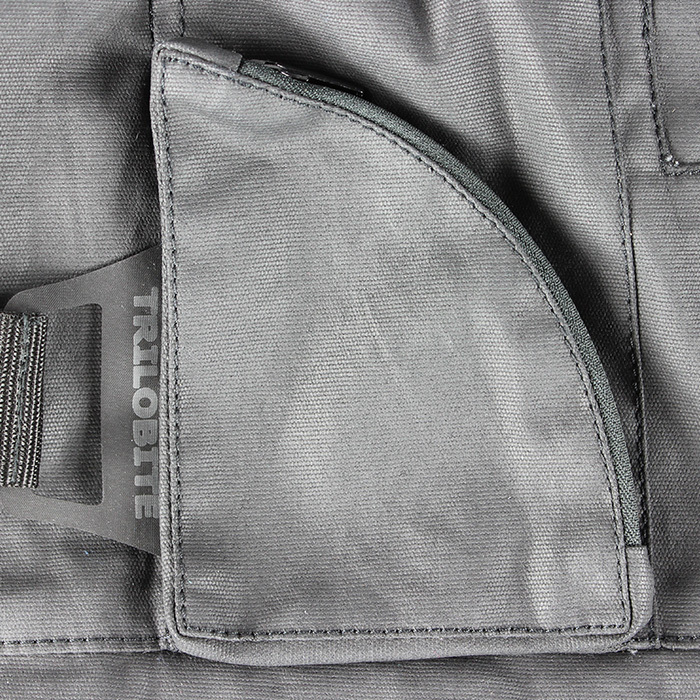 Rally 2.0 has new cargo style pockets and one extra pocket for your convenience in the front part. 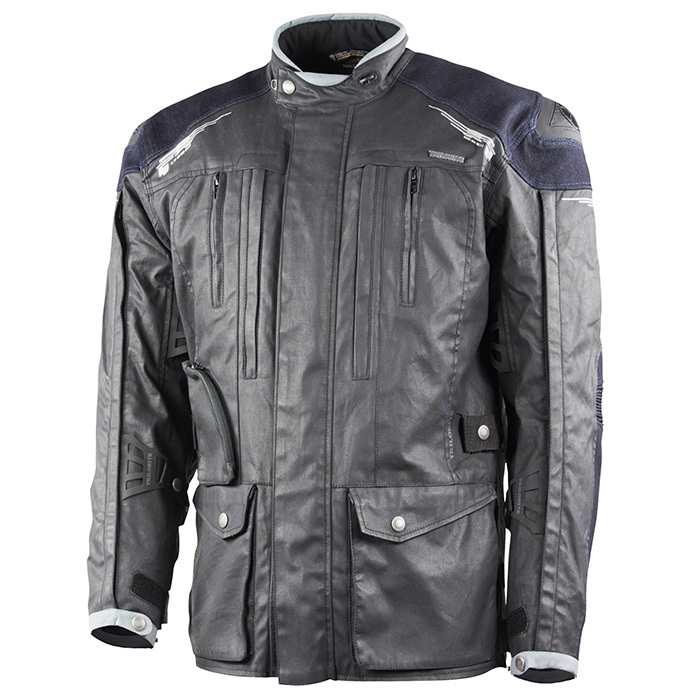 There are various reflective elements all over the jacket to increase visibility of the rider on road. New multiple adjustment belts make it easy to find the right set up of the fitting. 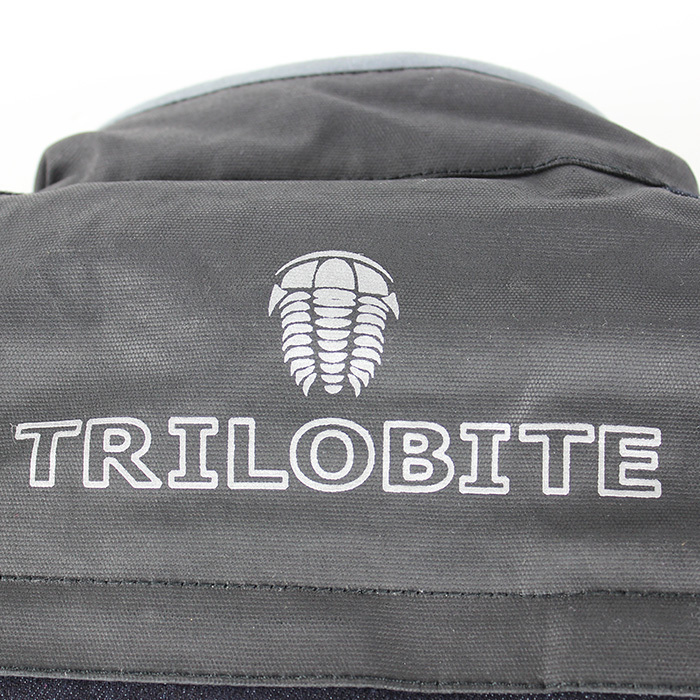 Rally 2.0 has slightly longer fitting to fully cover your back not only when standing on the foot rests on your enduro bike. This is a common feature for all travel jackets. 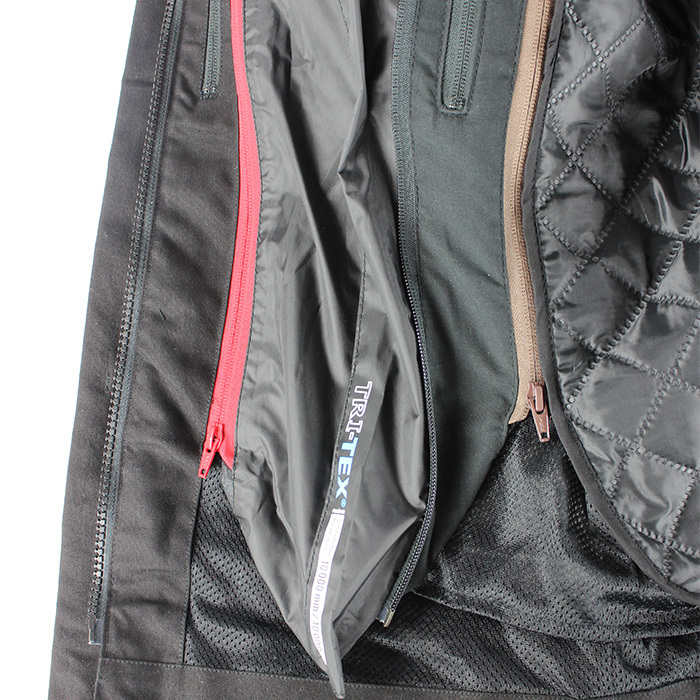 The jacket is hydrophobically treated with to boost up its waterproof features. 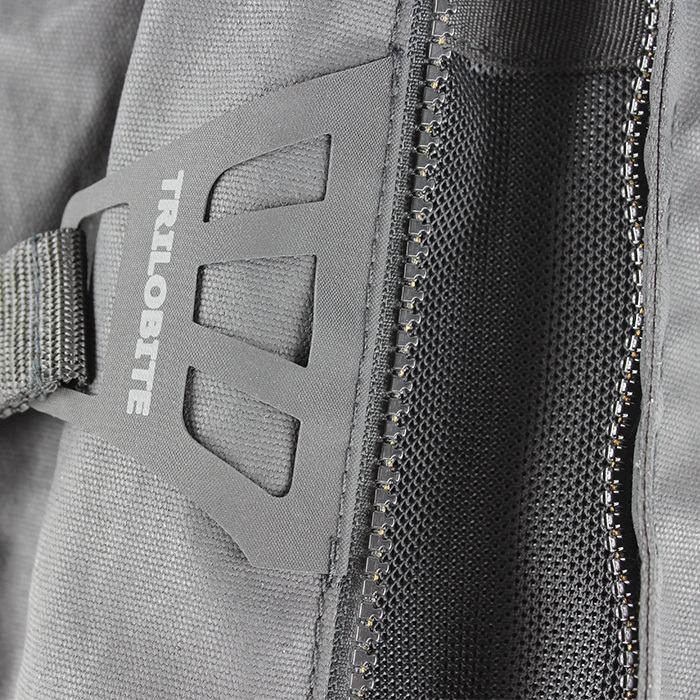 In the front part and sleeves there are extensive air ventilation inlets which bring enough fresh air. At the back side there is an air outlet which takes the hot air away. 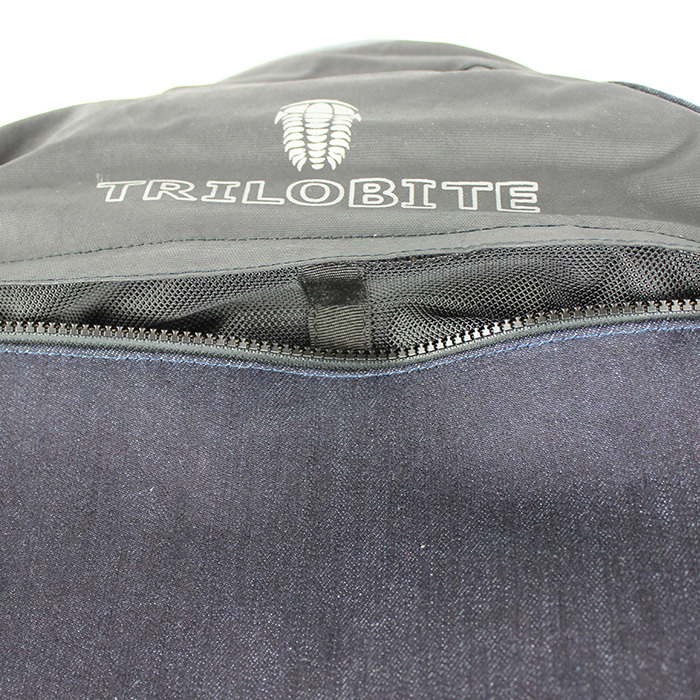 A noticeable element at the back side of the jacket is an enduro style pocket where riders can store travel equipment, for example maps, travel guides and others. Rally 2.0 jacket is a complex product for travelers who search for a balanced level of comfort, safety and functionality. It is the right choice for long distance riding. 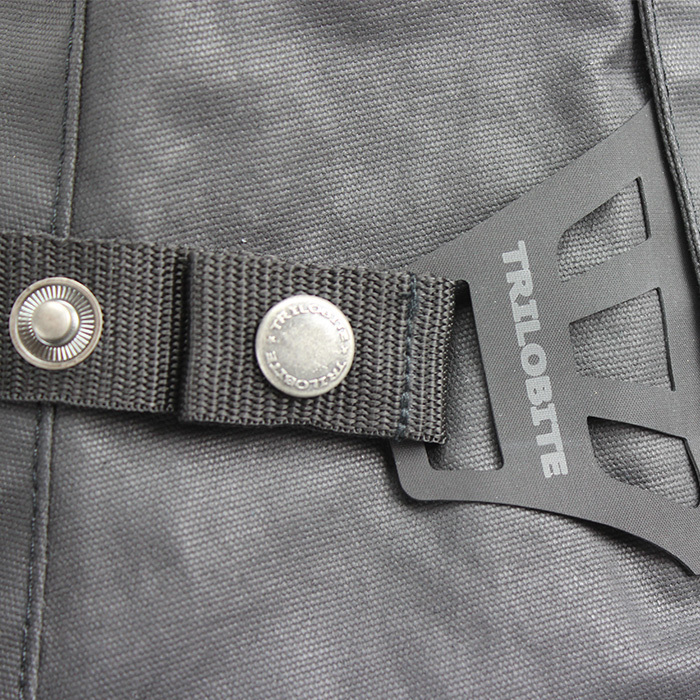 Travel off road and on road style, adventure riding, men EU sizes. (S - 4XL) Perfectly matches with Trilobite® Agnox and Probut X-factor jeans.